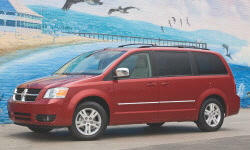 Dodge Grand Caravan Reliability & Durability Pros and Cons | Page 1 of 1 | Why Not This Car? What drives people to buy (or not buy) a certain car? 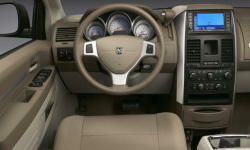 TrueDelta's members share Dodge Grand Caravan pros and cons based on their real-world driving experiences. Dodge has had issues with its automatic transmissions. Also, do not have much experience owning a North American built mini-van. Any van that could vent carbon monoxide into the cabin has serious issues. Also, Dodge has a history of poor reliability. Rock solid reputation and came with lifetime warranty, should I need help in 15 or 20 years. Found that they are still using the same electronically-controlled 4-speed that has been a perennial nightmare since the late eighties. Fit and finish is poor. Requires very little maintenance and routine maintenance much less expensive than the Toyota Sienna. Still not expecting miracles. Probably have to replace the transmission at one point. Very unreliable as one can tell. Again I paid for a vehicle that is unsafe to drive and in the shop more than on the road. Also, so many other issues that just keep happening one after another. I take care of my vehicles...yet this one is a sad case! They have a history of transmission failure that has not been addressed in the last 20 years. For years I have heard there are lots of problems with the caravans, especially the transmissions. They did not get great reviews until 2008 which was out of our price range. While a little too soon to tell on our 2008, we have had nothing but great luck with our previous Caravans as noted in our past personal experience comments. Price, reliability, past experience, ride quality compared to comp vehicles, available features, kid friendly, outstanding safety features including front, side and knee airbags, antilock brakes, stability control, 5 star crash ratings. Bests the others.